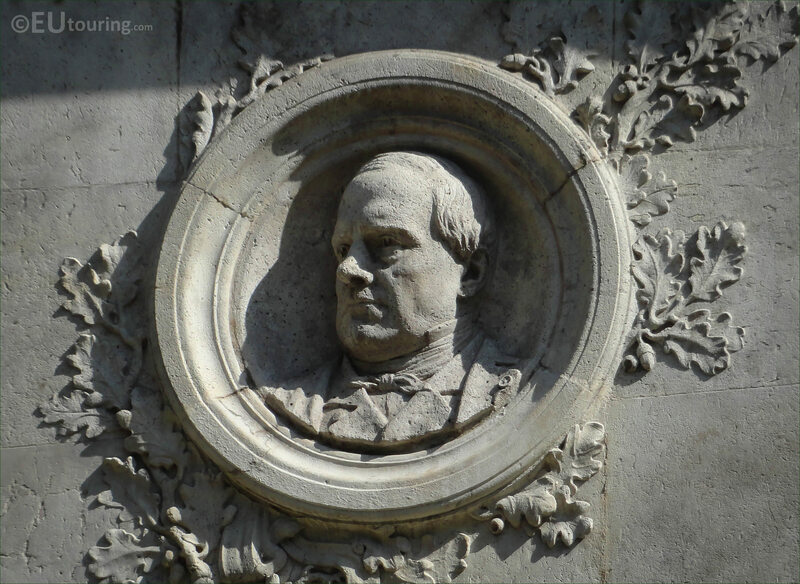 We were on the Ile Saint Louis island in the 4th Arrondissement of Paris when we took these high definition photos showing a Medallion of Barye, which was sculpted by Laurent Marqueste. This first HD photo shows the medallion made of stone that includes a bust depicting Antoine Louis Barye, who was a well recognised French sculptor mainly working on statues and sculptures of animals, which is what he became famous for, and many of his works can be seen at different tourist attraction in Paris such as within the Tuileries Gardens. Yet this next image also shows the years 1795 - 1875, which was the dates of birth and death of Antoine Louis Barye, and this section of the Barye Monument was produced by the French sculptor Laurent Marqueste, which was first inaugurated back in 1894. Now Laurent Marqueste was born in Toulouse in 1848 yet went to Paris where he studied at the Ecole des Beaux Arts to become a French sculptor, winning the Prix de Rome in 1871. 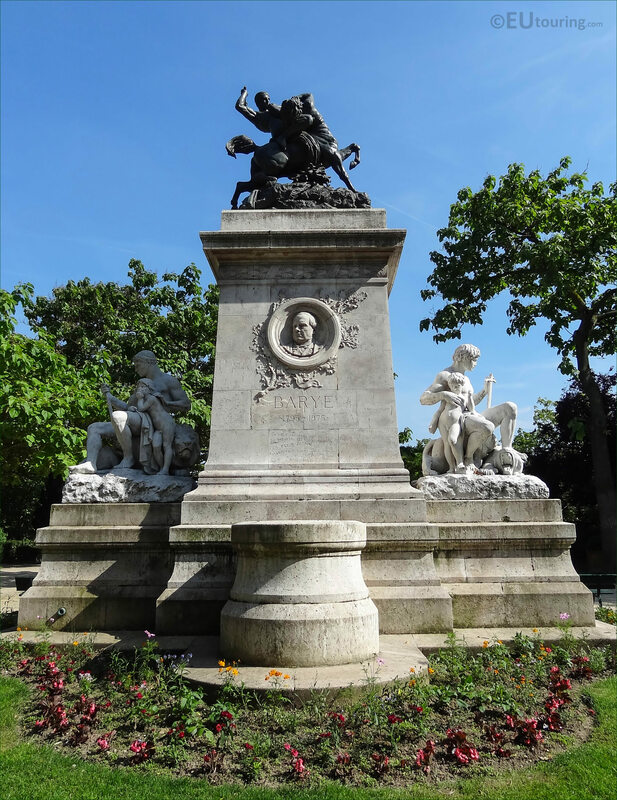 This meant that he ended up receiving numerous public commissions for different memorials and statues that can be found all over Paris such as on the Pont Alexandre III and this Monument to Barye. 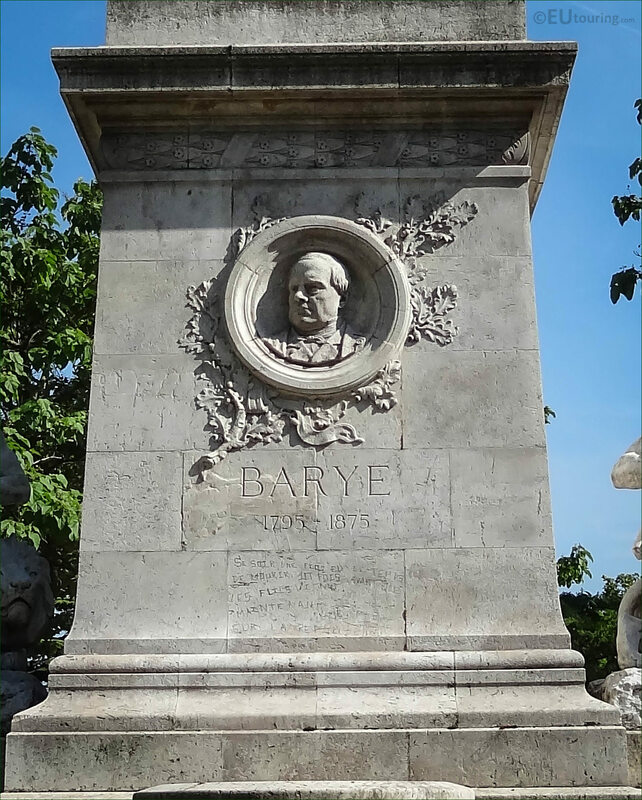 And you can discover the Barye Monument with its medallion and different statues on the tip of the Ile Saint Louis island located within the River Seine, and this in the 4th Arrondissement of Paris within the Square Barye that was also named after the famous animalier, Antoine Louis Barye.